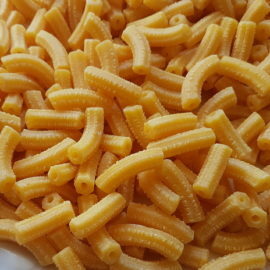 Pici is an ancient type of pasta from Tuscany. Originally always fresh and homemade, this pasta looks like long thick spaghetti. 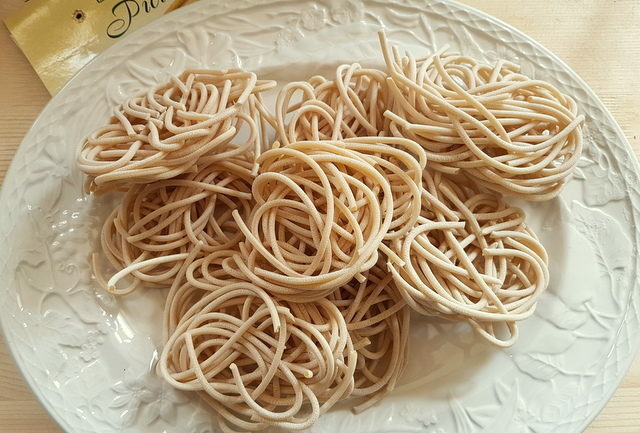 Like many other types of pasta which were invented a long time ago and were an important staple for Italy’s rural peasant population, pici pasta is traditionally made with just flour, water and salt. Although, unlike other homemade pasta, it is often made with soft wheat flour not hard and can be found made with 2 types of flour. 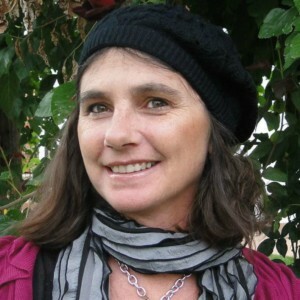 Nowadays, some people also add olive oil or an egg to the dough. 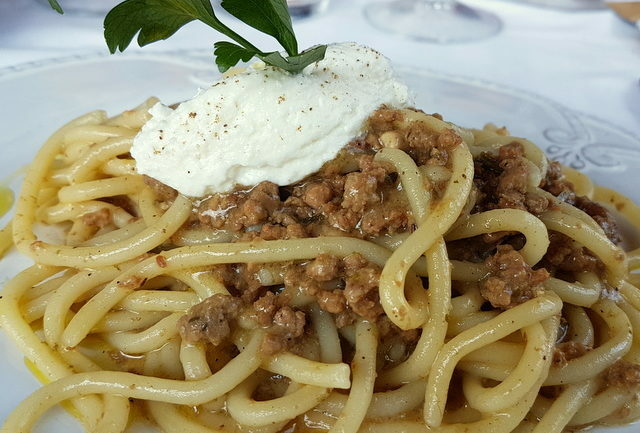 Pici is often referred to as ‘pici Senesi’ because it is believed to originally come from Siena. 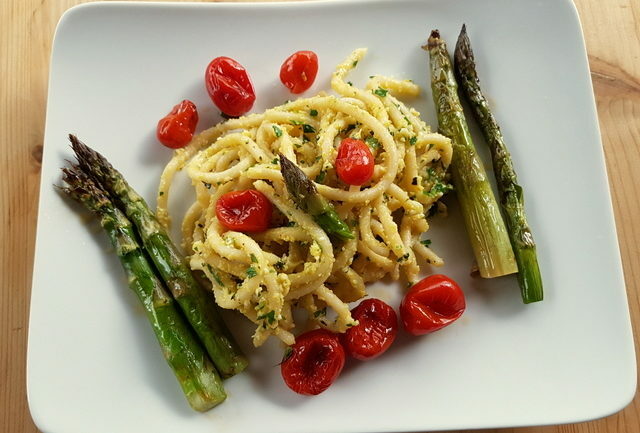 There is evidence that this pasta dates back to Etruscan times. In ancient Tarquinia, the tomb of the Leopards has a fresco showing a banquet scene in which a servant is carrying a bowl containing a long, irregular pasta. This tomb is from 5th century B.C. and the pasta is thought to be the ancestor of pici. One pasta lots of names! 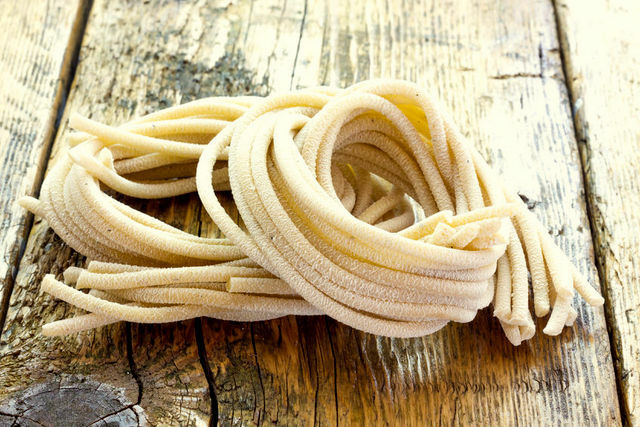 In Umbria and Lazio, they also have practically the same type of homemade pasta as pici but with different names! In fact, the name differs not only from region to region but even from one province to another in the same region! You can find pici, or a very close cousin, referred to as ‘pinci’ ‘lombrichelli viterbesi’, ‘pisciarelli’, ‘torcolacci’, ‘filarelli’, ‘lilleri laziali’ ‘ceriole’, ‘stringoli’ and ‘raguzzi’, depending on which region or town you are in! 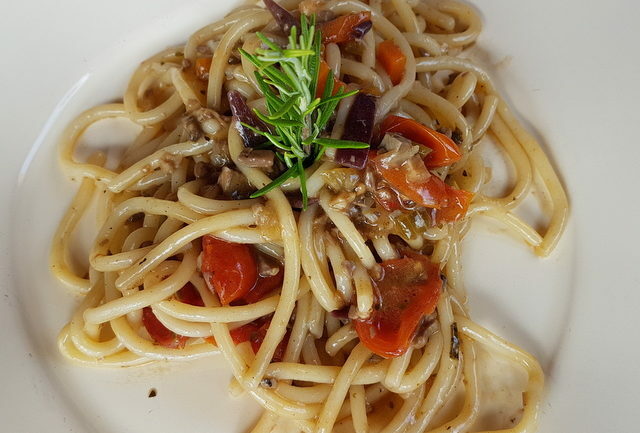 Pici may be pratically one pasta with lots of names, but the way it is served is not necessarily the same in each region. 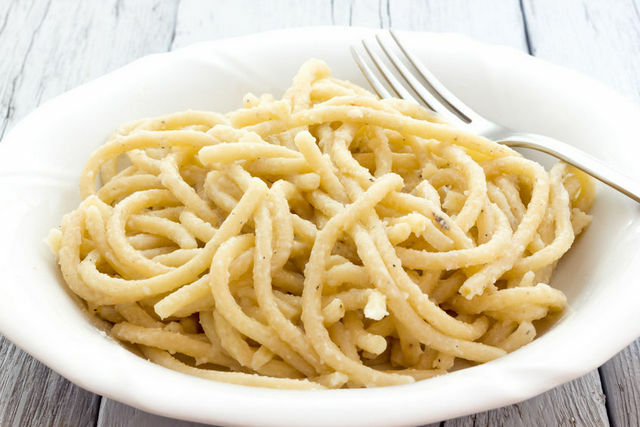 In Tuscany, pici pasta is often eaten with cacio e pepe or in a duck ragu dish called ‘pici con la nana’. It’s also often served all’aglione. 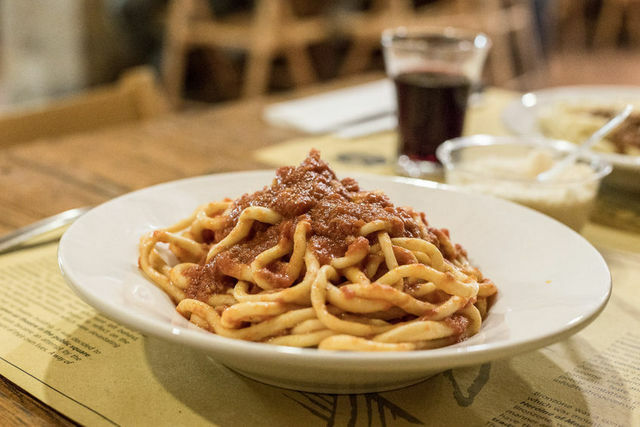 This is one of the most traditional recipes in the area around Siena. The sauce is made with lots of garlic, tomato, olive oil and peperoncino. However, aglione is a local type of garlic, which has a huge bulb with only four cloves each the size of a normal garlic head. It is milder, and easier to digest than other garlic. This sauce goes perfectly with pici because the blandness of the pasta allows the flavors of the sauce to dominate. 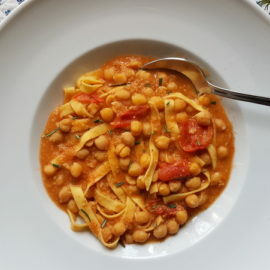 A recipe I really like, and also posted today here on the Pasta Project, is pici all’etrusca. This is again another simple recipe, but this time with a very tasty pesto type sauce made from hard boiled eggs, mint, basil, parsley and Tuscan pecorino. When pici is made by hand the pieces are often very long, up to 3 metres! 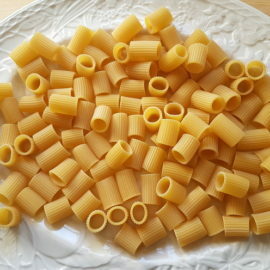 The dough is rolled out into these long pieces of pasta by hand and Tuscan restaurants often advertise their pici pasta as ‘hand-rolled’ rather than hand-made! 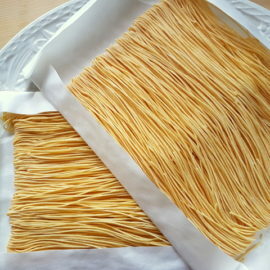 Nowadays, many pasta makers in central Italy also make dried pici. In fact, this is what I have so far used. Some of these pasta makers sell online, so you may be able to find and order some. I have seen it on Amazon and other sites. If not, you may want to consider making some yourself. Take a look at this Pasta Grannies video to see how. Normal measurements for pici are 250 ml of tepid water for 500g of flour (soft wheat/all purpose- Italians categorize it as ‘0’ flour) and a pinch of salt.